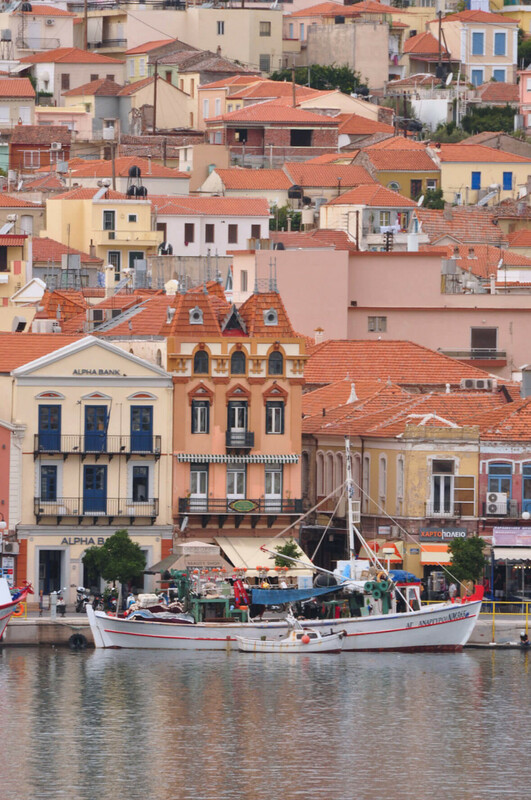 Mytilene: the harbours & Ermou Str. Hidden among pine-woods at the top of the hill of Aghia Kyriaki (2km due west of the castle) in a panoramic position overlooking the city and the coast of Asia Minor, are the scant remains of the city’s large theatre, brought to light in 1958. (Open daily 8.30–3 except Mon. The climb up to it through residential streets is signposted.) The more notable finds from here, such as the throne now in the Archaeological Museum, suggest that this is a mid-Hellenistic structure, probably of the 3rd century bc, modified in Roman times with a high retaining wall around the orchestra, added to enable more dangerous gladiatorial spectacles to take place. Most of the marble cladding which made the steep natural cavity in the hill into a perfectly formed hemicycle (24.2m in diameter) of theatre seats, was taken away to form the foundations and the keep of the mediaeval castle. The foundations of the skene are clearly visible, with large perforated blocks for fixing wooden superstructures; elements of both the drainage and the water provision systems are in evidence. It is estimated that the cavea could possibly have held as many as 10,000 spectators. In 66 bc the victory of Pompey over Mithridates was celebrated in the theatre. Plutarch (Life of Pompey, 42.) suggests that Pompey’s admiration for this setting of his triumph inspired him, 11 years later, to construct Rome’s first stone-built theatre. 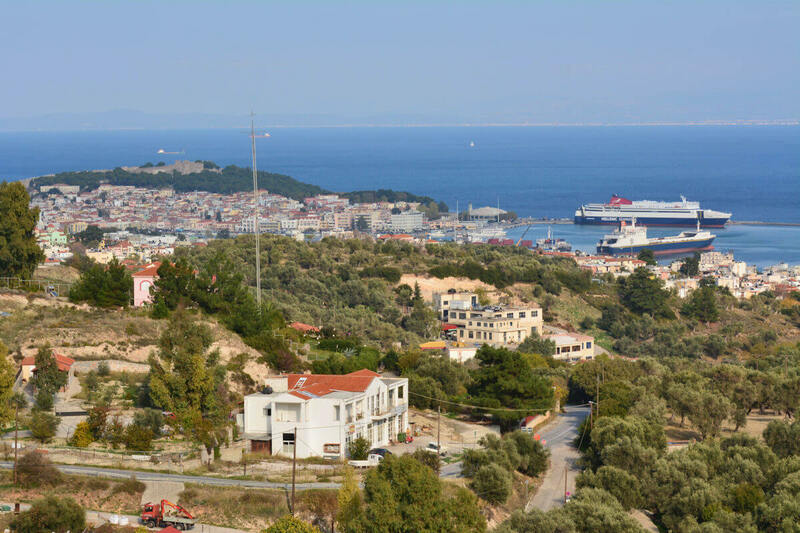 The two buildings are radically different, however—Pompey’s is a freestanding structure; Mytilene’s, as was the custom with Greek theatres, is fashioned out of the supporting hillside. Beyond the cemetery of Aghia Kyriaki, to the south of the theatre are some remains of the 5th century city walls, constructed in a type of polygonal masonry characteristic of the island. These encompassed a large area for any town of the period—running from the northern mole of the north harbour, round the summit of this hill and down to the southern end of the south port (see plan p. 20). 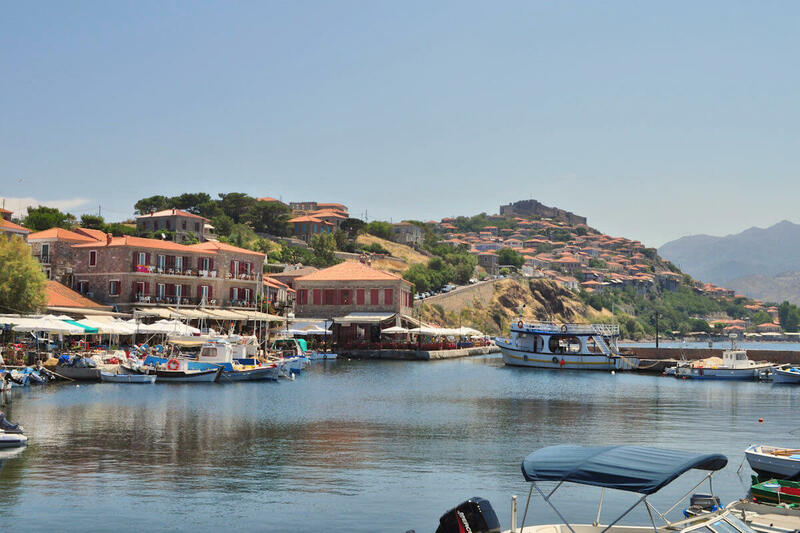 Lesvos Island is part of the Northern Aegean Island Group, Greece. 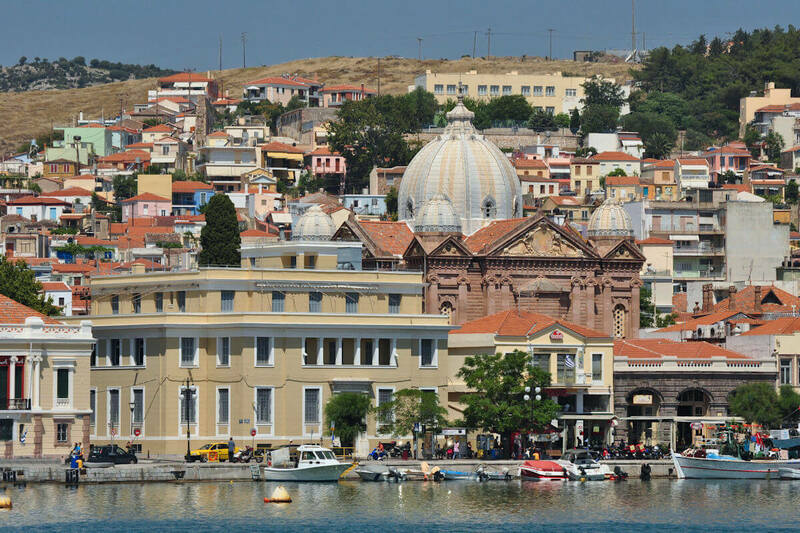 Mytilene, the Ancient theatre and Walls. Notwithstanding the décor which is a little over the top (an endemic problem in the two or three converted man sions which offer accommodation in Mytilene), the hotel Pyrgos of Mytilene (T. 22510 27977, 25069, fax 47319, www.pyrgoshotel.gr. Upper price range.) on the hill to the south of the harbour, is the city’s smartest hotel—welcoming, comfortable, providing a good breakfast with freshly baked items, and open all year round. The road-side rooms can be noisy, however. An inexpensive alternative is the Hotel Orpheas (T.22510 28523, fax 21930), in a converted mansion mid-way between the two Archaeological Museums. Not far outside Mytilene (11 km to the north), at Pyrgi Thermis, is the delightful Hotel Votsala– (T. 22510 71231, fax 71179; www.votsalahotel. com. Apr-Oct. Medium price). Welcoming, informal, and pointedly un-touristy and unpretentious, this simple and beautiful hotel on the shore, run by a Mytilenean architect and his wife, is perhaps the most civilised and enjoyable solution on the island. Molyvos has a wider variety of places to chose from: on the shore below the town, is the Olive Press Hotel (medium price), arranged around the courtyard of a converted olive mill (T. 22530 71205, fax 71646). and nearby, for real simplicity in an old Ottoman-style house, Pension Chrisi (T. 22530 72193). Not far away, between Petra and Anaxos, is the Clara Hotel & Bungalows (T. 22530 41532, fax 41535, www.clarahotel.gr); the complex, which has comprehensive facilities and is set in its own gardens, has fine views of Molyvos and Petra, but is a little distance from both and is not on the beach. In Plomari, the nicest lodgings are provided by the Hotel Leda (T. 22520 32507; open May–Sept only) in a fine traditional mansion with views out to sea: it is in the centre of town, up a flight of steps from the main square. The only accommodation which is part of one of the thermal spring spas are the rooms offered at Thermes Polichnitou (T. 22520 41201). 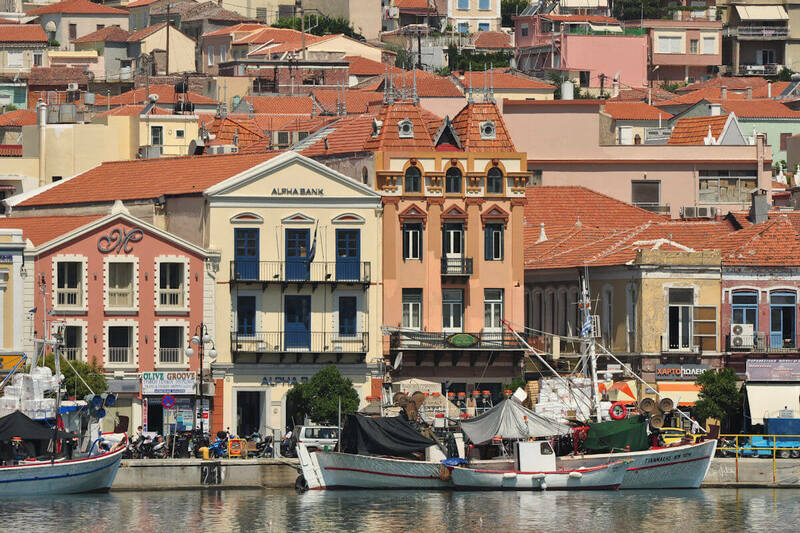 The port area of Mytilene has many small (mostly new) tavernas, dedicated to providing interesting, fresh and varied Levantine–Aegean dishes with localredients, good local breads, and offer a pleasant atmosphere. and *Machalás (27 Mitrelia St.), two blocks in from the north side of the harbour. 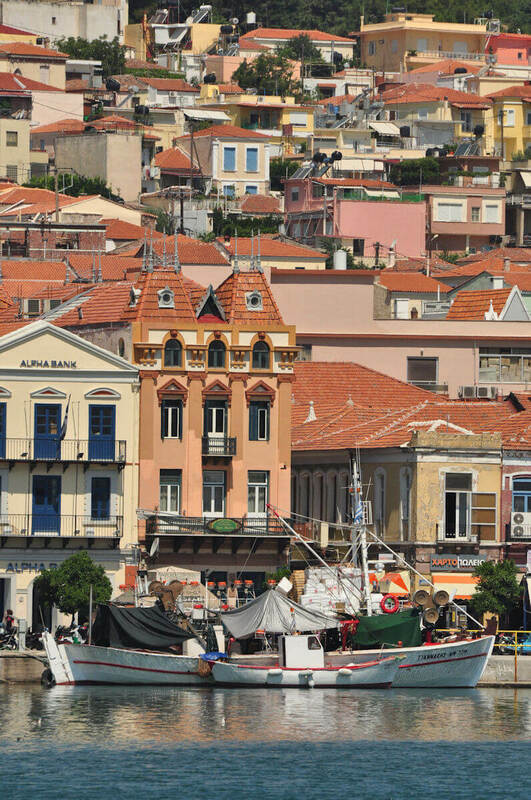 A more “folkloric” setting and some good local dishes are provided by Zoubouli, on the corner of Sarandoporou and Venedakis Streets, behind the north- east corner of the port. For traditional vegetable and fish mezedes, prepared with care and imagination, nothing can beat the Taverna “Rebetis” on the waterfront, overlooking the north harbour from its southeast corner. 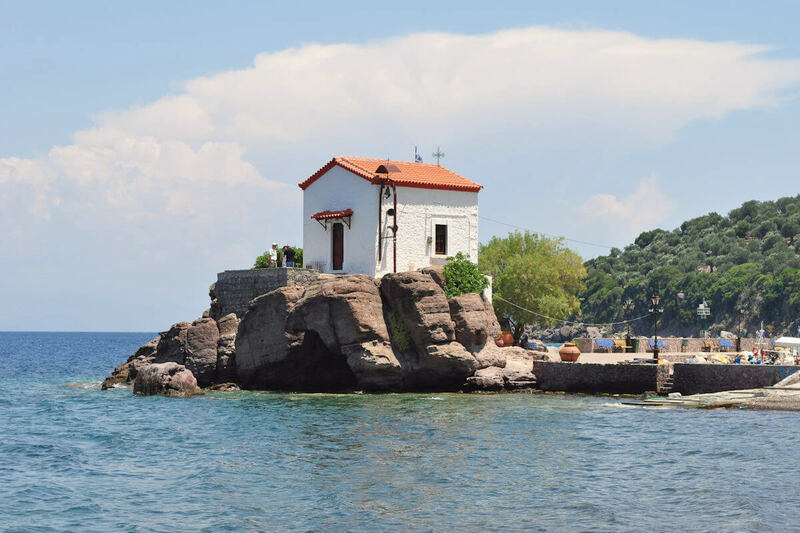 11km north of Mytilene, shortly after Pyrgi Thermis, beside the church of St George, is the Taverna Aghios Giorgios—good for fresh fish, and popular with locals on Sundays especially. On the road to Polichnítos, below the village of Asomatos and 3km after the junction at Kerameia, is the Taverna “Karini” in the deep shade of plane-trees and vines beside a stream; the food is ordinary, but the setting delightful. 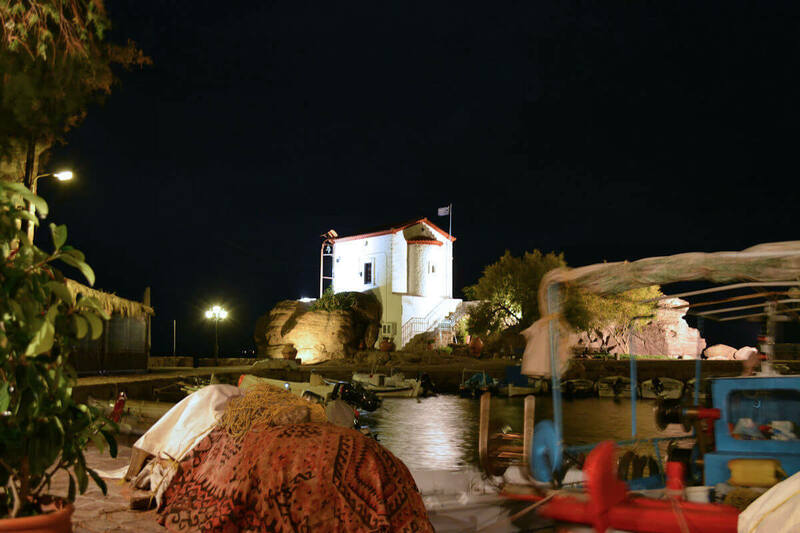 At picturesque Skala Sykaminiás on the north coast, the tavernas in the port have mostly become, through popularity, over-priced or poor in quality; but 1km to the west along the track by the shore from the harbour, is To Kyma, still unspoiled and with good fish dishes. Taverna “Vapheios”, in the village of that name 6km to the east of Molyvos, has good local specialties and sunset views to match. Right in the heart of Molyvos, the tiny and basic *Obelisteria “Methymna” (further up the street past the Demarcheion) deserves special recommendation for the care with which the owner chooses his excel lent meats and produce, serving the client with the tastiest salads and grilled meats to be found on the island, simply seasoned with fresh herbs, and provided at very modest prices. Space is limited, especially in winter. Port Authority (Mytilene): T. 22510 40827, 47888. Longus (2nd century ad), The Pastoral Story of Daphnis & Chloe, an ancient romance novel set on Lesbos (translated in Reardon’s Ancient Greek Novels, 1989). Richard Brooks, Birding on the Greek Island of Lesvos—revised 2002, is an invaluable guide to the island’s unusually rich birdlife. By air: Domestic flights from Athens, four times daily with Olympic Air and two or three times daily with Aegean Airlines, serve Mytilene through out the year. There are daily Olympic Air connections with Thessaloniki, and 6 days a week with Aegean Airlines, including a twice weekly local, Eastern Aegean route with Olympic, from Thessaloniki to Rhodes , via Lemnos and Chios and (once a week only) Samos . The airport is 5km from the centre of Mytilene. 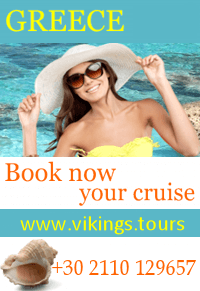 By boat: The principal route from Piraeus to Mytilene is served by Hellenic Seaways, via Chios, with a daily 12.30 departure from Piraeus, arriving at Mytilene 21.00, and returning to Piraeus again overnight. GA Ferries run 3 times weekly along the route from/to Chios and Samos to the south, and Lemnos and Kavala to the north. 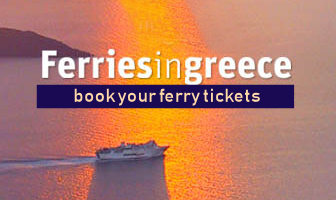 There is a weekly Saos Ferries service from the port of Sígri (north west Lesbos) on the route be- tween Kavala, Lemnos, Aghios Evstratios (to north), and (to south) Psará and Lavrion (for Athens). Crossings to Turkey (Ayvalık/Dikili) run 4 to 5 times weekly during the summer season (May–early-Oct) only.